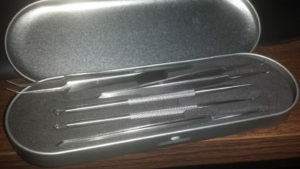 Two weeks ago, I was asked to try out and review the Blackhead Tweezers Splinter Needle Extractor Travel Tool Kit from Lifestance. There are two kits available: 2-piece kit with a microfine loop needle and a bend curved tip tweezers, and a 5-piece kit that comes with two addition types of tweezers and an extra microfine loop needle. All the tools are made of surgical grade stainless steel and can be used to quickly and easily deal with pimples, blackheads, and ingrown hairs. 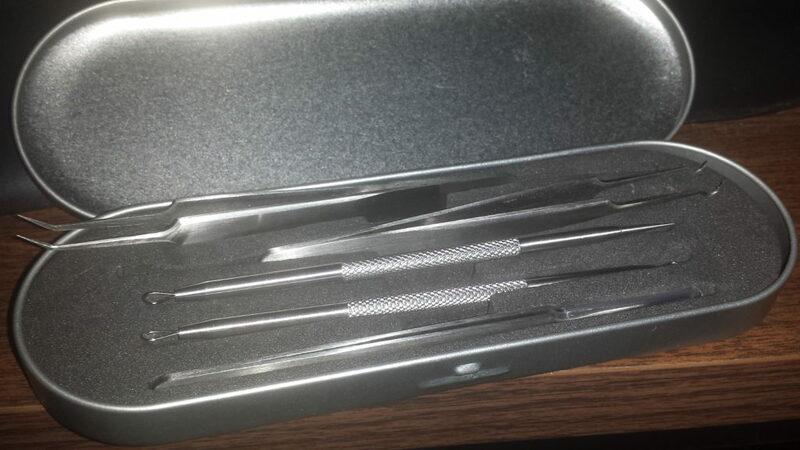 I received the 5-piece set and it came in a stainless steel travel case. 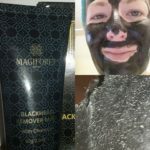 I’m pretty familiar with the loops since I’ve used them for a long time to deal with blackheads. I’ve seen a ton of videos on Facebook lately showing curved tip tweezers and I was most interested in trying those. Unfortunately, there were not any instructions on how to use them when I first received the kit…so I had to play around with them. There is a bit of a how-to guide up on the Amazon ordering page now as I write this, so you can always refer to that if needed. The theory is good, but it takes a lot of practice to get the hang of it. You also need a high magnification mirror of some sort to be able to see what you are doing too. I did get them to work after a lot of trial and error, but it isn’t easy. I’m mostly sticking with the loop tools and the other two pairs of tweezers. Those tweezers have been very handy to have around. They are perfect for small splinters and stickers out. Overall, this is not a bad kit. I’m hoping that I’ll get the hang of the curved tip tweezers with time. The 5-pack is $9.95 (+ shipping) on Amazon. 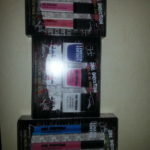 The 2-pack is $7.95, but is only available as an add on to qualifying purchase of over $25. Last updated by Angela Rogers at June 11, 2017 .